This guide is meant to give you a basic introduction to three main types of headphone cables and their general uses. The three most common headphone cables are 3.5mm, 2.5mm and 6.3mm cables. Below is a picture of each type and a summary of what each type of cable is used for. 3.5mm cables are found on most portable CD players, MP3 players and boom boxes. 3.5mm cables are also the cable used by most computer speakers and on computer sound cards for line in, line out and microphone connections. 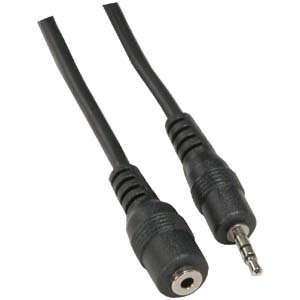 2.5mm cables are commonly used on mobile phones, two way radios and other small electronic devices. - Many devices use custom cables and may not be compatible with a generic 2.5mm cables. 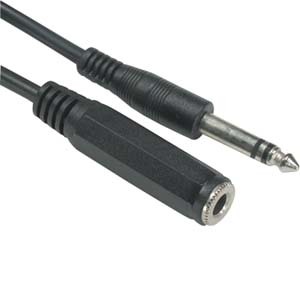 Stereo 6.3mm plugs are commonly used for the headphone jack on home stereo equipment and mono 6.3mm jacks are used on many electric guitars, amplifiers and other music equipment.